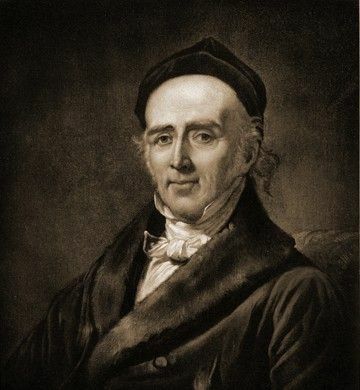 Homeopathy was discovered and first developed by Samuel Hahnemann in Germany over 200 years ago. Hahnemann has been described as a physician, chemist, linguist, historian of medicine, and scientific revolutionary. He rejected the barbaric medical practices of his day, which included poisoning the patient with mercury and other toxic substances as well as bloodletting. He sought a gentle method of cure. Although always controversial, homeopathy was a popular treatment modality during the second half of the 19th century and into the early 20th century. Many hospitals were founded as homeopathic institutions, including Millard Fillmore Hospital at Gates Circle in Buffalo (recently closed and reopened in the medical corridor as the Gates Vascular Institute). My great-grandfather, Nathan Mattson Humphrey, was a homeopathic doctor, having received his diploma from the Hahnemann Medical College of Philadelphia in 1889. He was a respected medical doctor, public health official and coroner for Monroe County, New York. Homeopathy fell into disrepute as the “scientific” approach to medicine advanced throughout the 20th century. Such medical advance has saved untold numbers of lives and continues to find ways to save many who would otherwise suffer a dire fate. It can reduce suffering in many circumstances. However, the promise to remove the suffering of chronic disease from the human experience has not been fulfilled. True “cures” for endless numbers of both life-threatening and debilitating chronic conditions remains elusive. Many people down handfuls of pharmaceuticals every day to stave off harmful symptoms that can only be managed, but not cured. From the homeopathic perspective, the problem lies in the fundamental idea that science and chemistry can be expected to “cure” disease. Homeopathy understands the nature of disease and its cure very differently from the current medical model. Each person has a vital force that seeks a balanced, healthy state. Only the vital force can cure disease. The homeopathic remedy does not cure a person, it only unblocks the ability of the vital force to achieve a better state of health. In many places and times, qualified medical doctors have used homeopathy to treat their patients. Such is not the case currently in the United States, where only a tiny handful of doctors use homeopathy, and most remain hostile to the practice. Under these circumstances, homeopathy as a non-medical practice can be used as a separate avenue for increasing health, along with other strengthening practices such as eating right, getting rest, and exercising. Experience has shown that homeopathy as an alternative health modality does not interfere with standard health care, so long as it is not viewed as a reason to stop any necessary treatment that may be life-saving, or that is preventing the destruction of organs or tissues. Treatments may be reduced, but only as an increased state of health (which we hope will be achieved but cannot guarantee!) leads to verification that such treatments are no longer needed and may be stopped. The goal of non-medical homeopathy is that you feel better, have fewer troubling symptoms, and have more energy to do what you want in life. The great minds of the 19th century, starting with Hahnemann and including his followers across Europe and in the United States, bequeathed to us what we know as “classical” homeopathy. I have studied, and continue to study, this theory and method. Taking classical homeopathy as a foundation, there has been a recent burst of genius in homeopathy that has led to new understanding and new techniques. These build on the past, but advance homeopathy so that practitioners who study the “modern” approach can be more successful. The new techniques lead to more accurate selection of remedies, and the ability to help greater numbers of people, many of whom could not be helped in the past, due to both the limited number of well-understood remedies, and the limitations in the classical methodologies for finding the simillimum.